Lessons 1-7, the Beginner course: This course makes no assumption of knowledge of any language other than English and gives the beginner practical and functional use of the spoken language. 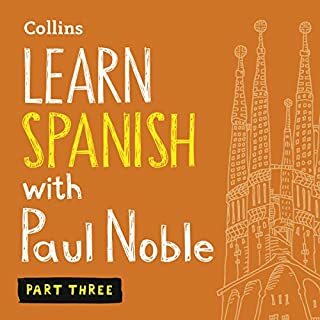 It is also appropriate for anyone who has studied Spanish before, but has forgotten much of it or does not have confidence in speaking. The Beginner course is designed to take you from complete beginner to intermediate level. Lessons 8-11, the Intermediate course: This course is for those with an intermediate-level foundation in Spanish, or those who have completed lessons 1-7 and want to take their learning to an advanced level and speak Spanish proficiently and easily. 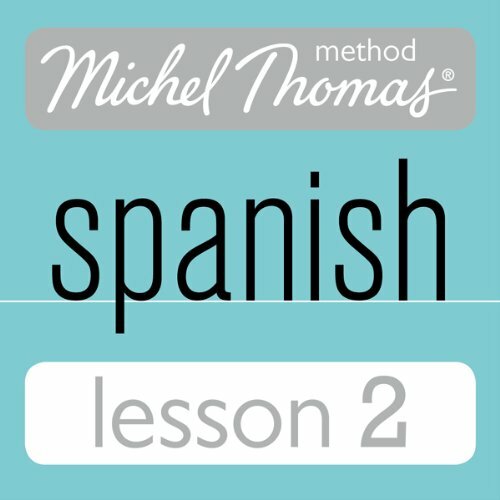 Unlike most language courses that focus around topics or grammar forms, the Michel Thomas Method works by breaking a language down into its component parts, enabling you to reconstruct the language yourself - to form your own sentences, to say what you want, when you want. Within the first 10 minutes of the course, you will be generating complete sentences on your own. It is important that you complete the lessons in order. The Method is successful because it builds on the language you learn in each lesson and 'recycles' language taught in earlier lessons, allowing you to build ever-more complicated sentences. Because the Method is based on understanding, not memorisation, there is no set limit to the length of time that you should study each lesson. Once you feel you have a good grasp of the language taught in one lesson, you can move on to the next. 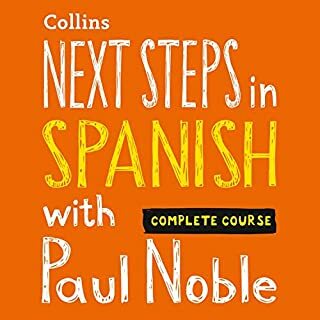 In lesson 2 of the Spanish Beginner course, you’ll learn about stress, gender and plurals, and how to use adjectives with nouns with…- prepositions: 'of', 'in'- nouns and adjectives: 'type', 'expensive', 'Spain', 'Mexico', 'Argentina', 'busy', 'tired', 'this', 'house', 'table', 'day/s'- formulating polite requests- social communications: 'please', 'How are you? ', 'Hello/Good morning' - time and place expressions: 'today', 'here', 'soon', 'late', 'later'- verbs: 'to give', 'to speak', 'to come', 'to leave', 'to understand', 'to say/to tell', 'to buy', 'to have', 'to have to' ('must'), 'I am', 'you are', 'I am going (to)', 'to be'- forming Spanish verbs from English words ending in ion- Spanish verb endings- stress in Spanish: Michel's 'NOSE' rule- pronouns: 'you' (as object, e.g. 'to see you'), 'them', 'me' ('for me' vs. 'to see me')- question and linking words: 'when? ', 'how much? ', 'if', 'how? '- words ending in ical: 'political', etc.- word order in Spanish: 'the situation political'- gender in Spanish: different endings for Roberto and Roberta- forming plurals in Spanish: add ' s' to adjective and noun - phrases: 'more or less'In the next lesson you’ll learn about the two Spanish verbs for 'to be' ('ser' and 'estar'). I love the format of the program. I have picked up Spanish much quicker because of this book. I enjoyed Michel interactive speech with the two students and his gentle guidance. good job. Love Michele's methodology, pace, and patience. I've been trying to learn Spanish for years. This really worked for me. Helps to study Spanish when driving. wish you got more for your dollar though. lessons are not very long. I use it along with Pimsleur and a couple others. 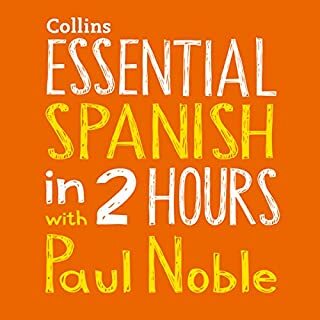 another in the series of must have audios if you plan on learning Spanish FAST. 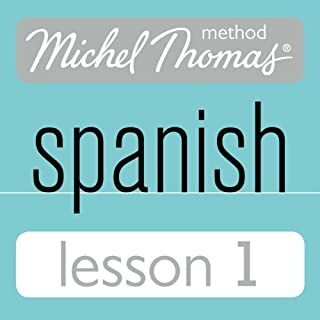 spanish lessons, great for beginners or refresh on vocabulary. highly recommended. builds confidence with each lesson.